For my first “style day” post, I wanted to share a little history of my style. Simple is one word I would use to describe my style. I’m not the person you’ll see with tons of accessories on. I do always carry a purse, but I don’t get a new one or switch all that often. There’s too much to carry and too little time to change it over. Classic is another word I would use to describe my style. I want to get the most wear from my pieces, even if I do get a deal on them, so I’ll often times pick a classic shape over a trendy one. None of my outfit posts will ever be overly trendy (though I do get sucked in by some) or “runway-esque,” but rather tips to enrich your own style with items you most likely already have in your closet. Obviously I included pattern. My skirt is shades of brown and tan, and my sweater is a cognac shade of brown. To balance it out, I wore those items with black shoes and a black top. I also put together some other options, built around the textured brown jacket below. One look is more tailored than the other. The combo on the right feels equestrian to me, with the riding boots and slim jeans. 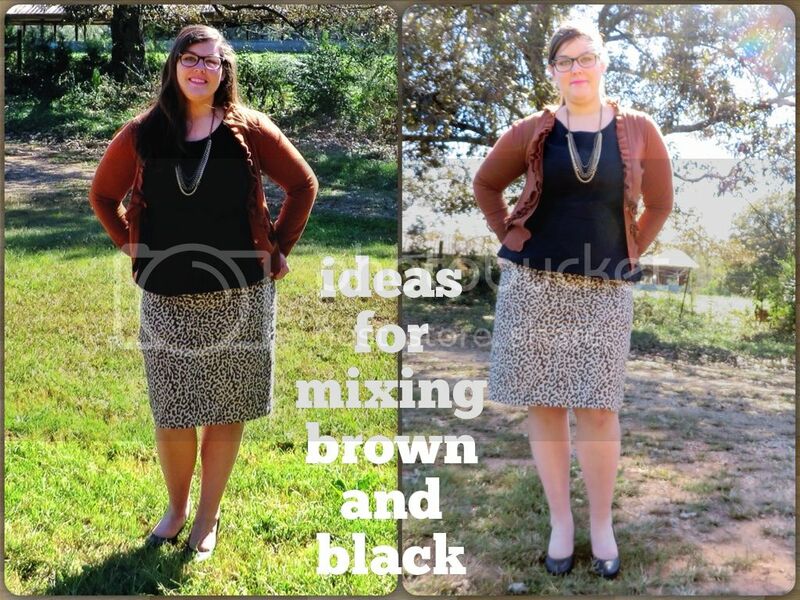 How do you like to put black and brown together? Disney is one of my favorite interests and I wanted my first Disney Day post to be about why I love it so much. Disney World holds some very sweet memories for me, especially with my father. Family times were always the best there. It’s a happy place and that’s infectious. Many of my friends don’t understand how I enjoy visiting all the time. In 2011, I was able to be a part of my husband’s first trip for our second anniversary. He couldn’t help but love Disney World as much as I do after that. Since that trip in 2011, I have been four more times with three more trips in the works! Now that you understand the degree to which I love all things Disney, especially visiting Disney World, let me share a few of the reasons why the parks are always on the top of my destinations list. The first, and main reason, is because I can eat whatever I want at Disney World. This is important to me because I have some very severe food allergies that make dining anywhere other than home extremely difficult. At Disney, if I want something safe for me to eat, the chef makes me something safe to eat, and it just might have sparklers on top. All my food is free from contamination worries. I can’t say that about going on a trip or even trying a new place around town. Customer service is always top notch. If something goes wrong at Disney World, the cast members (employees) go above and beyond to make it right. The few times an experience has been less than dream-worthy, Disney has done an amazing job of fixing the situation. Disney World is CLEAN. Who doesn’t love a clean place? The rooms are clean, the parks are clean, the golf courses are clean, the restaurants are clean. There’s always a cast member cleaning right around the corner. Even though we have been four times this year, there are still many things we haven’t done. It’s like the New York City of theme parks in the sense that you could live there and still miss things. My entire family has a great time there, no matter how long we stay. There’s always something that one of us wants to do and several things we love doing together, like character breakfasts. Food+family=what’s not to love? Those are some of the reasons that prompted purchasing Disney World Annual Passes this year. 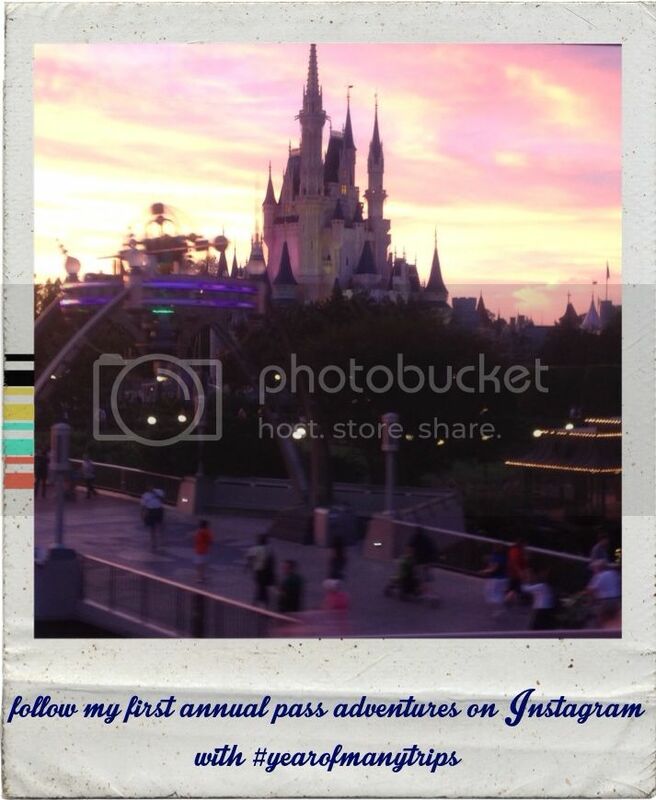 Follow along on instagram with the hashtag #yearofmanytrips to keep up with my family’s Disney World trips. What are some of your favorite Disney memories? Share them with me and remember, adventure is out there! Blogging has always been something I have enjoyed. Writing of any sort has been a hobby of mine for years, so it makes sense that I would be attracted to blogging. My problem is that I tend to start blogs and then not keep up with them. The first step with a problem is admitting it, right? Here’s that: Hello, my name is Meghan, and I have an addiction to starting blogs and not keeping up with them. The issue with my previous blogs was that they were very specific, so I felt like I couldn’t blog about something else if it didn’t fit the theme. Now, I know that was silly, but I let that stop me previously. Hayes Days is going to be different. Starting this blog is my first step to fixing my problem. It is going to be a place to share all of my interests, with days devoted to each. One day it could be a do it yourself venture and the next a Disney post. Hayes Days will showcase DIY projects, home organization and decoration, Disney, personal style, and whatever I’m excited about sharing with y’all! This weekend, I will be updating Hayes Days with posts introducing you to some of the main themes, so stay connected! Follow me on facebook and bloglovin to keep up to date with posts, and instagram and pinterest so see what might be next!